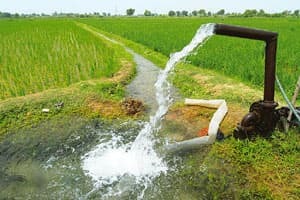 New Delhi: Four north Indian states — Punjab, Rajasthan, Haryana and Delhi — are depleting at least 30% more of their groundwater resources than previously estimated by the government, a new report from the US National Aeronautical and Space Administration, or Nasa, says. The study, conducted by a team of Nasa scientists is being published in Friday’s edition of Nature, a peer-reviewed scientific journal. The scientists report these states depleted on average 17.7 billion cu. m. (bcm) of water annually between August 2002 and October 2008, more than the government’s estimates of 13.2 bcm in the same period. They conclude that groundwater depletion in the region was equivalent to a net, irreplaceable loss of 109bcm, or nearly 20% of India’s annual water consumption of 634bcm. The four states account for almost 114 million people, or almost 10% of the country’s population, and are dependent largely on irrigation for farming. According to the Planning Commission, irrigation consumes 83% of the country’s annual water budget. “We computed the uncertainty in our estimate to be about plus/minus 4.5 km3 per year, so the two estimates are reasonably close, but based on our analysis the annual deficit is a bit larger than previously believed," Matthew Rodell, lead author of the study said in an email to Mint. The authors of the study say that average rainfall was nearly the same during the period, thereby ruling out climate variability as the culprit for these depleting storage levels. “The paper clearly says there’s a plus/minus 4.5 bcm error in the estimate. So on the lower side, that’s close to our estimate," said B. N. Jha, chairman of the Central Groundwater Board, which monitors groundwater levels, using a reliable method of measuring water levels in a national network of 15,000 wells. “When you take satellite measurements over such a large area, as opposed to physical measurement, there are bound to be errors," Jha added.